Durable, brightly colored, foam, regulation-sized imitation Soccer balls. Firm enough to kick, yet soft enough for young children to play. Features a rattling sound like rice in a water bottle. The slightest movement makes the ball rattle. Encourage even young blind children to play. Package Weight: about 10.6 ounces. Any Soccer player with younger brothers or sisters always has a couple Nurf balls kicking around - those durable foam balls that never need to be pumped up and don't hurt quite as much if you get hit in the face or stomach. Sporting all the hexagonal patches found on a regular game Soccer ball, these durable, regulation-size imitation Soccer balls are a hit with children of all ages. Just like a Nurf ball you'd pick up at your local department or sports store, this brightly-colored foam soccer ball is firm enough to kick and kick well, but soft enough to let Little Brother play. 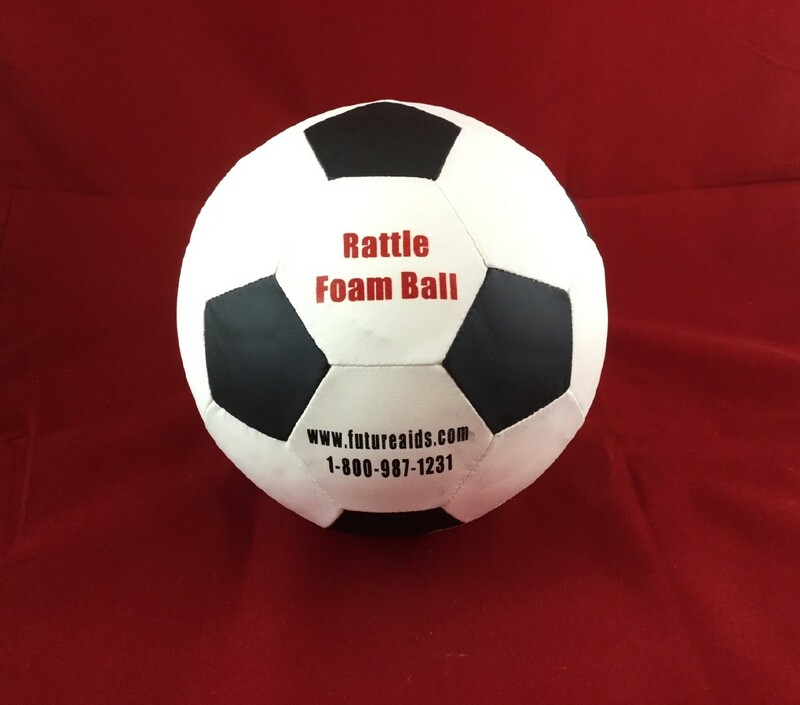 Unlike those run-of-the-mill varieties, however, ours has a specially-designed rattling ball imbedded in the center of the solid foam. Whenever the ball moves, you hear a rattling sound similar to rice in a water bottle. Even the slightest movement will cause the ball to rattle, making it easy for blind players to scoop up the ball and take off - or line up and kick it out of reach of the opposing team. Now, even young blind Soccer enthusiasts can safely join in the game, becoming physically active with some good old-fashioned fun!